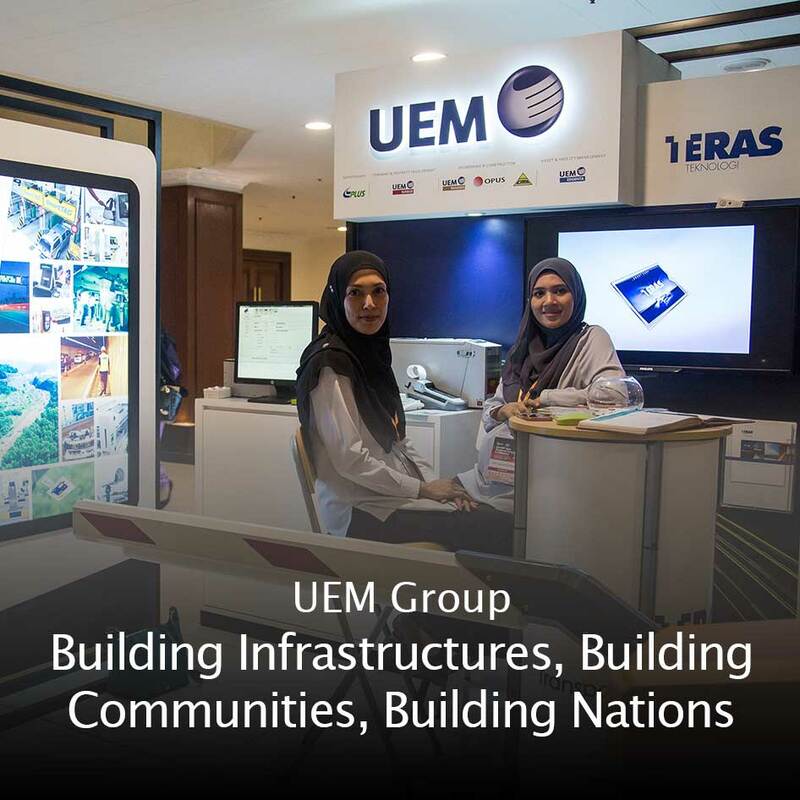 From our humble beginnings in 1966, UEM Group Berhad (UEM Group), a wholly owned subsidiary of Khazanah Nasional Berhad, the strategic investment fund of the Government of Malaysia, has grown to become Malaysia’s leading engineering-based infrastructure and services group. We are an international entity operating in emerging and matured economies focusing on four key businesses namely Expressways, Township & Property Development, Engineering & Construction, and Asset & Facility Management. We have the ability, expertise and resources to deliver and manage key infrastructure development projects and services for the public as well as private sectors. We build and maintain expressways that traverse the nation; we build properties and townships for communities to live and grow; we build bridges, urban transits and airports so that people are better connected; we build stadiums so sports can thrive; and we build and service hospitals so individuals are cared for. We have completed infrastructure, transportation and building projects in Malaysia totaling more than USD10.6 billion since 1988. We have total assets of more than USD5.9 billion with shareholders’ funds in excess of USD2.0 billion as at end December 2015. UEM Group’s Expressways business is led by PLUS Malaysia Berhad, the largest highway operator in Malaysia and has been operating the country’s toll roads since 1988. UEM Sunrise Berhad is the flagship company for the Township & Property Development of UEM Group. Listed on the Main Board of Bursa Malaysia, UEM Sunrise has core competencies in macro township development; high-rise residential, commercial, retail and integrated developments; as well as property management and project & construction services. Key companies under Engineering & Construction include UEM Builders Berhad, an international construction company with strong track record in delivering key infrastructure projects; and Cement Industries of Malaysia Berhad or CIMA, one of the leading cement manufacturers in Malaysia and is well known for producing and distributing high quality cement, ready mixed concrete and related products since 1975. UEM Edgenta Berhad, the Asset & Facility Management arm of UEM Group, is a leading Total Asset Solutions player in the region providing asset consultancy services, healthcare services, infra services, facilities services, industrial services, energy services, property services and environmental and material testing services. UEM Group’s headquarters and core geographic market is Malaysia and we have significant presence in India and Indonesia in the expressway sector; we have three property projects located in Melbourne, Australia; and we also have key presence in Singapore, New Zealand, Canada and the Middle East. Our human resource stands at approximately 14,000 which includes 2,500 technical professionals. Employees are the backbone of UEM Group and our most important asset and this is manifested through our commitment to enhance their professional development and growth. A successful organisation is not just one which focuses on financial performance alone, but it also contributes to the well-being of community and does not lose sight of its commitment to sustainability. UEM Group is certainly no exception in this matter. One of our commitments is the development of communities that we serve and operate in. Our ventures and contributions have touched the lives of many and helped spur economic growth through the provision of amenities and services. Our Corporate Responsibility efforts are aligned with UEM Group’s strategic business priorities and are integral to all our relationships with our employees, stakeholders, communities and environment.